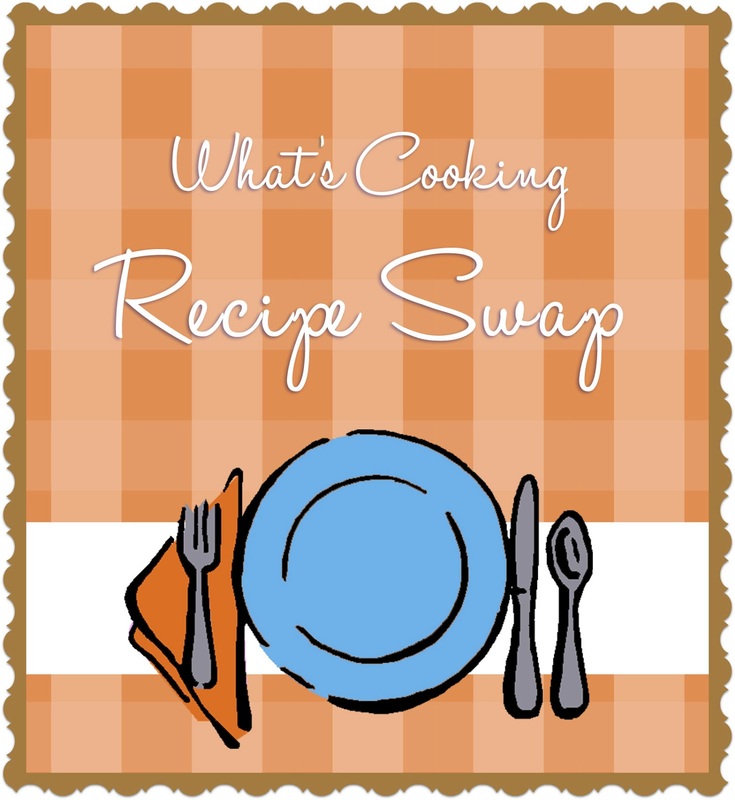 It’s time for another recipe swap hosted by Sarah at A Taste of Home Cooking! I really love participating when I can because I enjoy looking at other blogger’s recipes and choosing something to make. This time around I received Kate’s Recipe Box. I had to laugh when I started looking at her recipes because we obviously have very similar tastes. 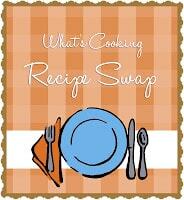 In fact, I counted at least 15 recipes that she has on her blog that I’ve made as well! I had pork chops in the refrigerator ready to cook so I knew what I was looking for. I found it in a teriyaki pork chop stir fry. 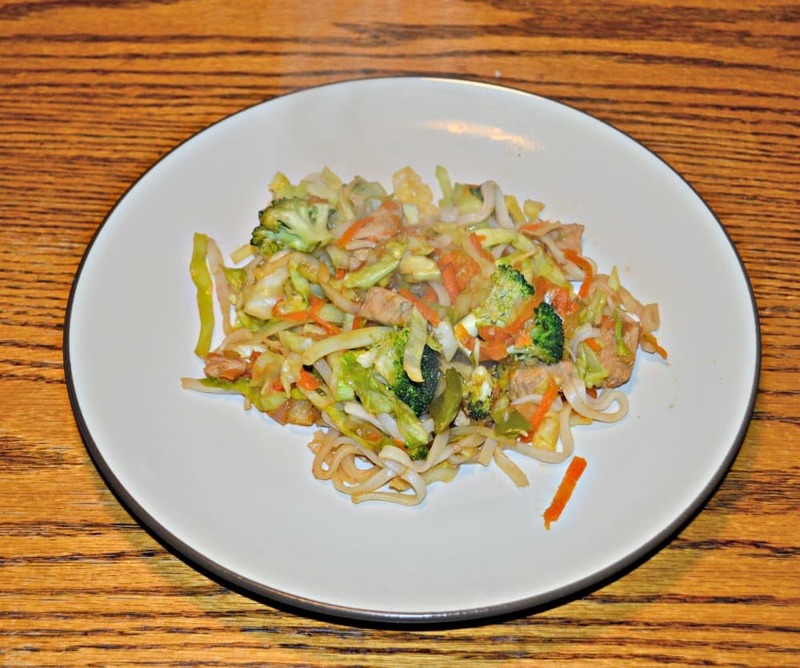 My husband really enjoys cabbage in stir fry and I liked the sound of the sauce so it was perfect. It was also great for a weeknight meal because it cooked up quickly. 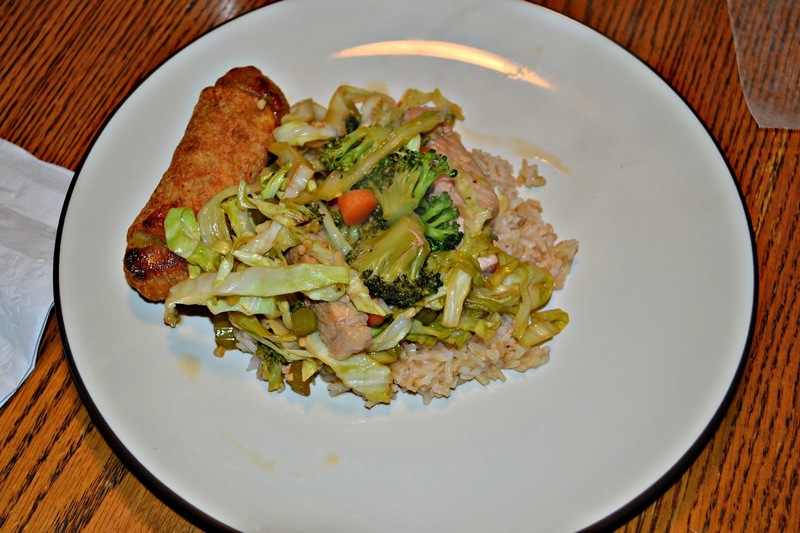 We ended up enjoying the flavor and the crunch of the vegetables. 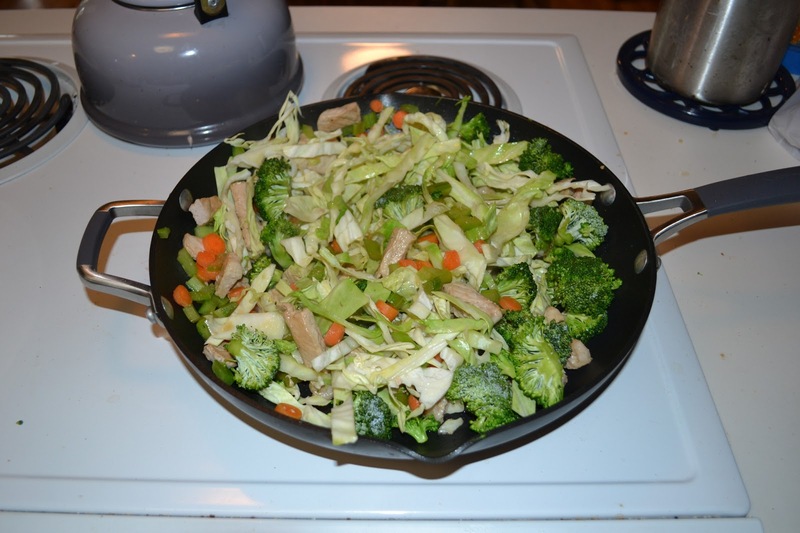 I wasn’t thrilled with the carrots but I did enjoy the cabbage, celery, and broccoli in the stir fry. The sauce was just slightly sweet and was really yummy. 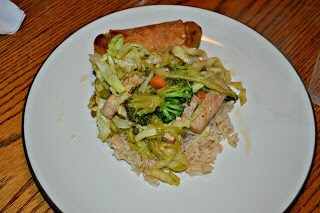 I’ll definitely be making this stir fry again! 1. In a small bowl combine half the broth, all of the soy sauce, vinegar, honey, and garlic. Mix well. 2. Pour 1/2 cup of the mixture into a zip top bag and add the pork. Seal the bag and place in the refrigerator for 2 hours. Cover and refrigerate remaining marinade. 3. 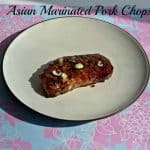 Drain pork from marinade. Heat a large skillet over medium heat. Add in the oil and stir fry the pork for 3 minutes or until no longer pink. 4. Add in the broccoli, carrots, celery, and remaining marinade and stir fry for 3 minutes. Add cabbage and continue cooking for 3 minutes. 5. Combine cornstarch with remaining broth and mix until smooth. Stir into the pork and vegetable mixture. Bring to a boil and cook for 3-4 minutes or until sauce has thickened. 6. Remove from heat and serve over rice. « CSA Wednesdays: New series on the blog! 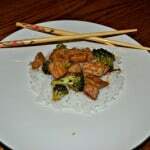 I never think to use pork chops in a stir fry, what a great idea. Great recipe! 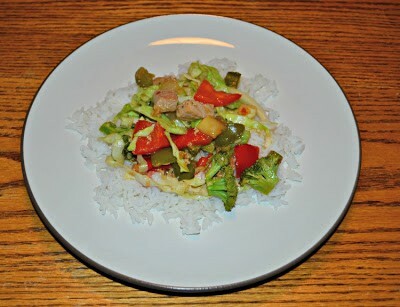 This recipe is great for me, because I’m exactly looking for an easy to cook dish that I will eat later for my dinner. I will definitely cook this. Thank you for sharing!